I have their free iPhone application installed which allows you to download a 7 day timetable for a specific journey so that you can access it when you’re out of coverage (say underground?). The problem I have is that I can find no way of updating the timetable, despite the app continually reminding me that it was downloaded on November the 19th. 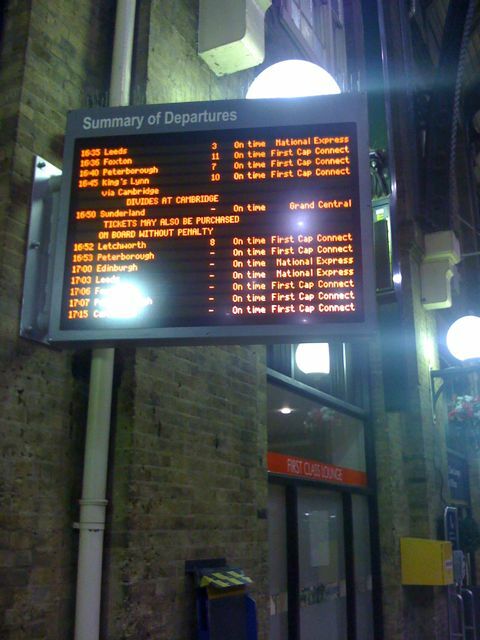 Platform 10 , . . WTH? but . . . but . . . but we’re ALWAYS on platform 9. I’m not sure I can cope with this much sudden change in one day!